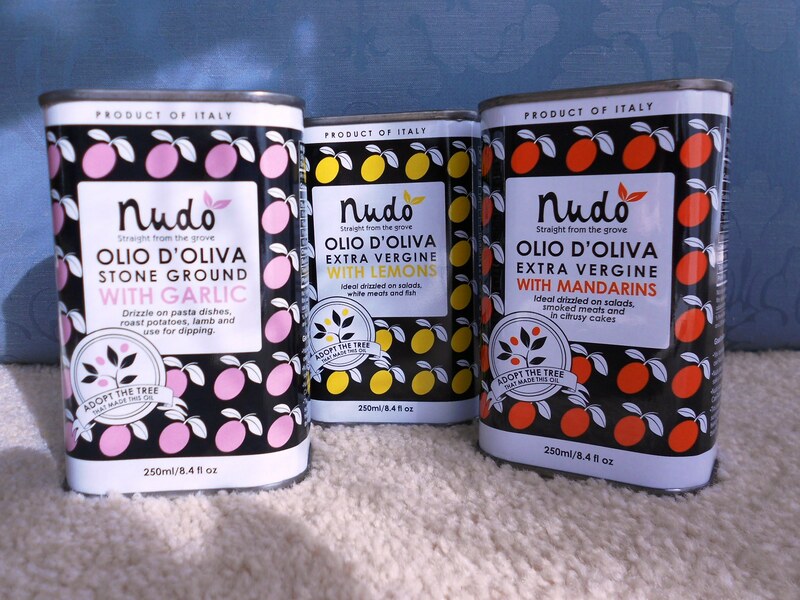 The company was founded in 2005 by an English couple, Jason Gibb and Cathy Rogers, who had bought a place of their own with an olive grove. 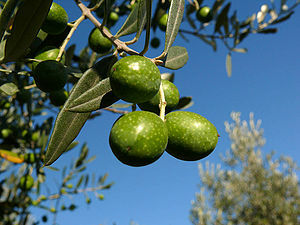 The oils I received from the olive groves under their umbrella in Liguria and Le Marche were, in a word, delicious. If I hadn’t read Mueller’s book, “deliciousness” would have been the only criteria I would have asked of these extra virgins. 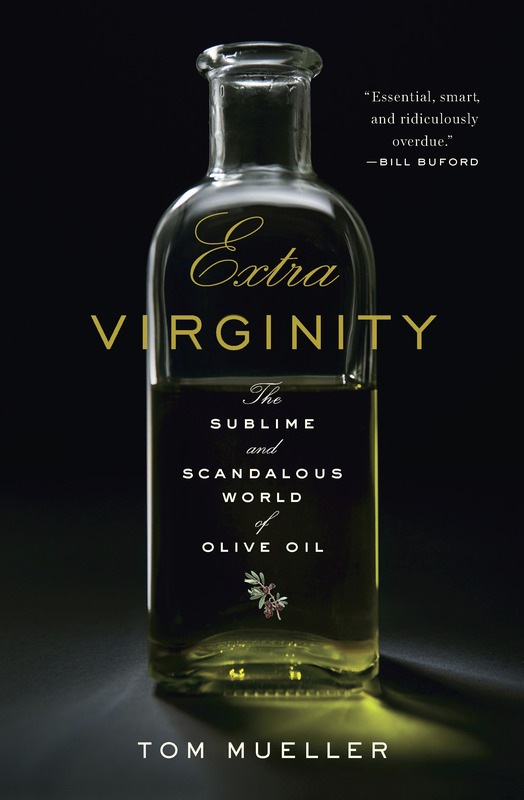 Sure, I had heard about the global olive oil scandal – especially the Italian side of it. But my thinking went something like this: Hey, if I like the taste of a particular olive oil and it’s priced right, what do I care if some of the claims on the label aren’t accurate. Maybe not all the olives (or maybe none) are from Italy, or maybe it’s not cold-pressed or first-pressed. Until I read the book for myself, all the reviews and interviews I chanced upon harped only on these shortcomings. California companies, too, are offering their own estate-grown extra virgins, often sustainably grown, milled on-site, and award winning. Worth checking out are Olivina, Da Vero, and Dry Creek Olive Company. Here are two recipes that make use of good-quality olive oil. The first is an easy, can’t miss pasta dish from Jason Gibb of Nudo. The second is a rarity: a Bundt cake that replaces butter with olive oil and is dairy free to boot. It comes straight from the folks at about.com. Preheat oven to 400 degrees. Cut off the tops of the garlic heads so you can see the flesh peeking out. Place them on a square of tin foil, drizzle them with olive oil, and loosely wrap the garlic so its sides aren’t touching the foil. Roast in the oven for about 50 minutes, until the garlic is soft. When garlic is cool, squeeze out cloves and combine in a blender with the peas, butter, 2 teaspoons olive oil and salt and pepper to taste. Blend into a smooth paste then mix in the grated Parmesan. Cook the tagliatelle according to the instructions on the package. Drain and mix in the pesto. Serve immediately. Preheat the oven to 350 F. Lightly oil and flour a 12-cup Bundt pan. In a small cup or bowl, combine the soy milk and 1 tablespoon of the lemon juice, mixing until just combined. Set aside. In a medium mixing bowl, sift together the flour, baking soda, salt, ginger, and nutmeg. Set aside. In a large mixing bowl, use an electric hand mixer on medium speed to beat together the sugar, eggs, and olive oil. Beat continuously for 4 to 5 minutes, or until the mixture is pale yellow in color. Add the remaining 1/3 cup lemon juice and beat until combined. In several additions, alternately add the flour mixture and the soy milk-lemon juice mixture to the wet ingredients, starting and ending with the flour mixture and beating well between additions. Mix until just incorporated. Carefully pour the batter into the prepared pan. Bake for 50 to 60 minutes, or until a toothpick inserted into the center of the cake emerges clean. Allow cake to cool for 30 minutes in the pan on a wire rack, then carefully turn out the cake onto the cooling rack to cool completely. Dust with confectioners’ sugar and serve at room temperature or cold. I do have a couple of complaints. One, ever since dining there I feel as though I’m not getting my money’s worth anywhere else. Two, I have to drive well over an hour to reach this Red Bank restaurant. Clearly, it belongs in my neighborhood. This entry was posted in Favorite Finds, Recipes, Restaurants and tagged about.com, Ashley Adams, Bar Nicholas, Cathy Rogers, Da Vero olive oil, dairy free Bundt cake, Extra Virginity, Italities, Jason Gibbs, Nudo olive oil, Olivina, Restaurant Nicholas, roasted garlic pesto, Roberto Cetrullo, Tom Mueller, Zingerman's. Bookmark the permalink. You remain my culinary hero, Pat. Thank you for this valuable information on both subjects. My pleasure! 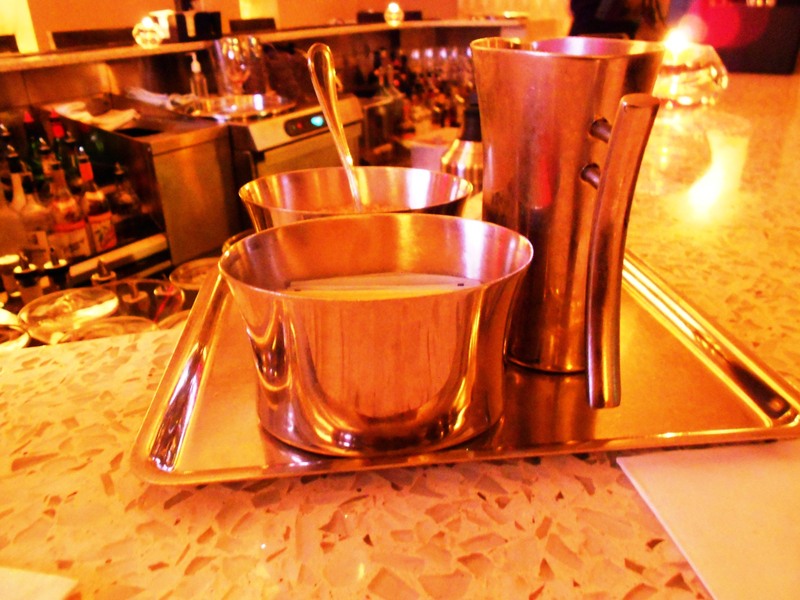 Just be sure to take me with you if you decide on the $29 bar menu at Nicholas. Hi Pat, what a nice gift from your daughter, an olive tree! I should let my kids read this post ;). You can also get some great olive oil from Chile and California in Princeton at the Terra Momo Bread Company. The Momo brothers know the producers personally and take great pride in their oil’s quality.